Incredible deal saving packages with extras such as Breakfast, Lunch, Beers, Replays, Gift Cards & More! 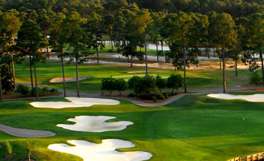 Book your Myrtle Beach Golf Tee Times with the Area's #1 Source for the BEST Deals! 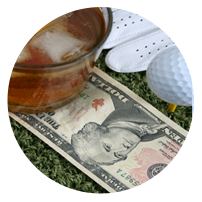 Get a quote on a golf & lodging package in a matter of minutes... Save to your favorites or email to a friend! 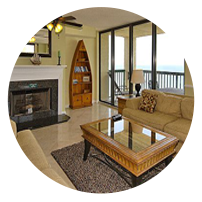 View our extensive selection of Oceanfront Condos, Beach Homes and Golf Villas...Spacious & Luxurious! Best Golf Packages, Best Tee Time Deals and Best Condos! 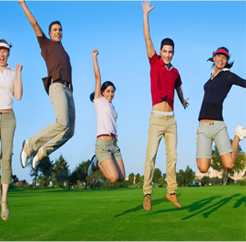 Each year, thousands of golfers choose MBGolf.com, a Condo-World company, to assist them book their highly anticipated vacation to the "Golf Capital of the World". 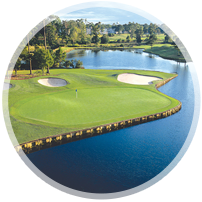 Our wide selection of Myrtle Beach Golf Packages allows you to play your choice of more than 80 championship courses, while enjoying your stay in the comforts of a luxurious Condo-World Oceanfront Condo, Beach Home, or Golf Course Villa. If you're just looking to book tee times, you've come to the right place! 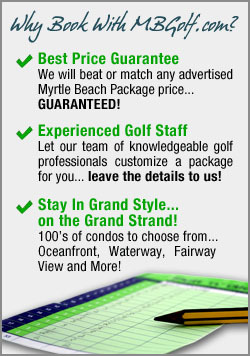 MBGolf.com offers the Grand Strand's Best Deals on Myrtle Beach Tee Times and Multi-Round Packages! Our accommodations are conveniently located in close proximity to the most popular Grand Strand attractions and entertainment venues, ensuring your group has a great time on... AND off the course! 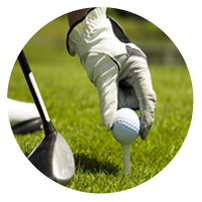 As the foremost and most trusted provider of Myrtle Beach golf vacations, we have an exceptional customer service department and highly knowledgeable golf staff to help customize your golf package! 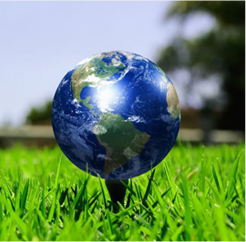 Call today and let our friendly staff assist you with your golf package and course selections. 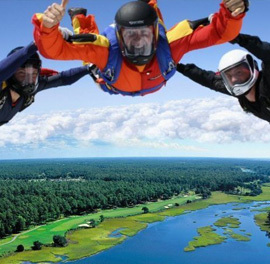 When you book your golf vacation with MBGolf.com, you can rest assured your trip will be both a great value and a great time! Just wanted to let you know we appreciated your help so much! We loved our stay at the condo as well as everybody else. The golf courses were just beautiful and difficult and we loved them all. The golf courses and staff were top notch at every course. Everything went very smooth. Needless to say, we were extremely pleased. Thank you for all your help in providing us with such a great golf package. Thank you so much for your follow-up, and for your guidance once again this year. We have already begun planning for next year. There had been some talk about staying down south and playing some of the courses we have not tried yet one year. But I must tell you, Frank, when we consider the condo, the ocean, the courses, the organization, and your help, we just can't break away from Condo World, even for one trip! That's testament to your group and due diligence. Look forward to continuing our great relationship! It was great to finally meet you after all these years. The trip was a resounding success and everybody in the group had an absolute blast! Thanks you so much as always for your help in putting it all together. Sincerely appreciate all your advice and recommendations! You have never once steered me wrong! Looking forward to the next trip! Just a quick thank you...the week was great, the accommodations, the golf courses, the ease in which it was all handled. My golf buddies were quite impressed. We anticipate this will be a yearly event. Have a great and successful season. I look forward to your assistance in the future! Myself and the boys had another great stay at your facility. I wanted to drop you a line saying thanks for all of your efforts as the package was fantastic. Once we get into Sept I will touch base with you so we can work on another package for 2015. Again, thanks very much! Just wanted to follow up on our 2014 trip and start planning for 2015. The trip this year was great - we loved the Rewards Package group of courses. Great courses, conditions were great and wonderful staff. Thanks for the recommendation, it could not have worked out any better. 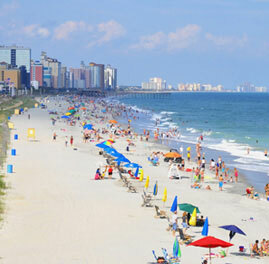 Just a quick thank you for the wonderful time we had in North Myrtle Beach (April 27th to May 4th.) Although the weather was just so so, the golfing was amazing. We all loved it very much. Enjoyed all the courses except maybe for Aberdeen, which was exciting (we saw 3 alligators and 1 big snake) and a little tight for our game. The accommodation was spacious and comfortable. We had a great time. I've already been asked to book something for next year, I'm also planning on maybe bringing 8 golfers. Just wanted to drop a note and let you know we had a another great year... the weather didn't cooperate but we did the best we could under the situation and we now have a couple rain checks for next year. Thanks for all of your help and the room situation was perfect. Hope you guys continue to have a busy year, we will continue to spread the word on how great you and your group are at making the process an easy one. Just wanted send a short note to thank you and your staff once again for all of your work on our behalf. We modified our trip to include another round of golf as, apparently, we 4 are glutton's for punishment. We are looking forward to 5 rounds of superior golf with you next week, some of MB's nicest restaurants, and all of the amenities that a trip of this kind offers. I just wanted to get back to you to let you know that we had a great time on our golf trip, the condo you gave us at Barefoot resort was simply outstanding, a lot more than what I had expected. Once again the package you arranged for us was terrific and I appreciate all of the time you take to make things as stress free and relaxing for us as possible. Looking forward to dealing with you again in the near future. I wanted to take the time to write you regarding your staff at Condo-World. I have been traveling to Myrtle Beach for 15 years and I have never experienced such professionalism as I have with the Condo-World group! I was so impressed that I would never think of using anyone else but your company. I have been in charge of booking a trip every year for our group and and this was so wonderful and easy. We go on a yearly golf trip and Condo World made all the necessary arrangements. They set all 8 of us up in beautiful oceanfront accommodations and scheduled the golf times and locations wonderfully. This is why we come back year after year! 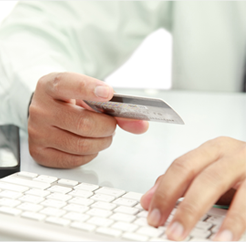 I want to highlight the outstanding customer service I received from your staff. It's more than receiving the great value that you were able to provide. It's HOW you did it. Everyone was positive, warm, friendly and engaging in how they presented themselves. Most importantly though, you've earned my trust and makes me want to come back again. The golf trip was fantastic we all had a great time! The condo at the beach with the view was like the icing on the cake, my friend, you did a an absolutely fantastic job and I am going to recommend you to all my friends and family! All the guys in the group were highly impressed with every aspect of our trip and how well it was coordinated. Thank you again for a great job organizing our first trip to Myrtle Beach, we plan on coming back many more times! I just wanted to say thank you again for all the help in setting up my golf package. The courses were exactly what I expected them to be, beautiful and challenging... Once again I had a fantastic time in Myrtle Beach and look forward to another return. My group and I just wanted to send a short note to thank you for the great job you did in coordinating our recent golf trip. Between the way you handled the arrangements, the accommodations, and the overall course conditions, everybody said this was probably our best golf trip to Myrtle Beach. We've been coming since 1982, so we have quite a bit of experience to make comparisons. Again...the entire group thanks you for your excellent service! Just wanted to send a quick email to let you know my golf party and I had a wonderful time on our Myrtle golf trip 5/20-5/24. The penthouse at Barefoot was amazing and conveniently located to everything...we'd like to stay in that same unit again next year. I appreciate everything you did to help put a memorable trip together and look forward to working with you again for next year. Just wanted to let everyone at Condo-World know how much we enjoyed our stay last week. Our condo was excellent and the golfing was great! Our group is already talking about our trip for next year! We had a great time as usual. Everything went off like clockwork. We enjoyed all the courses we played. The folks at the Pearl treated us like they really appreciated us being there and the courses were awesome. You guys do a great job as always. Thank you so much! First, I'd like to thank you for your patience, cooperation, and understanding as you worked on our package. I appreciate your accommodating spirit and attitude through all the waffling of my guys; seriously, I can't thank your company enough! I just wanted to report back that our group had a fantastic time last weekend in Myrtle Beach. Conditions at all three Legends courses and the Heritage were near perfect. Thanks for helping us out again and I will be talking to you around December to set up our trip for next year. THIS WAS THE ABSOLUTE BEST GOLFING VACATION THAT WE HAVE EVER HAD!!! We will definitely be back. You can quote me on that. Our group had a wonderful time. The condos were very nice as well as the golf courses. It was nice being able to send one guy into the pro-shop to check in our group when you have a group of 8. Checking in at the courses went smoothly. We where on the tee within 20 minutes after pulling into the parking lot. 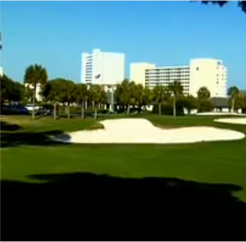 Good Price, Good Accommodations, Nice Golf Courses. Easy to book thru phone or by the internet! I really appreciated the fact that a representative from your office called me personally after the first day to make sure everything was okay and if I needed anything else while I was in town. You guys really are the best. Simply the best golf vacation experience I could have hoped for. From the initial reservation contact to the very last day. Everything was top-drawer. Thank you! 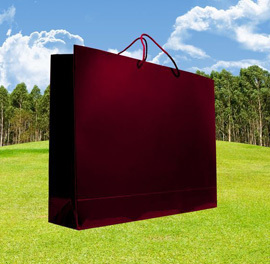 Enter to Win a Free Golf Getaway!